Feeling overwhelmed by your dog’s aggressive, fearful, or anxious behavior problems? Worried for the safety of your family, your neighbors, your dog, or other pets? Confused by conflicting advice on the internet or from friends and family? Cincinnati’s dog behavior specialists can help! There is hope for most anxious and aggressive dogs if you work with a properly trained behavior professional. These problems require special skills that go beyond normal obedience training to address the underlying causes of these complex behavior problems. Our owners are nationally recognized leaders in the field of animal behavior. We have served in leadership roles for the profession’s largest associations and helped develop the standards for working with these problems. As the only 2 Certified Dog Behavior Consultants practicing in the tri-state area, we have special training and over 20 years of experience solving the toughest dog behavior cases. We have helped hundreds of the most difficult dogs become great pets. State of the art behavior solutions that work. Customized Training Plans: We’ll design a plan around the individual needs of your dog and your family and provide you with step-by-step written and video instructions. Flexibility: We’ll do whatever your dog needs, from single appointments to specialty behavior classes to taking him home with us for training. Contact us to schedule an evaluation today. End the uncertainty of behavior problems and get your best friend back. Step 1 – We’ll send you a behavior history form and ask you to send it back to us. Step 2 – We’ll come to your home, do a thorough evaluation of your dog’s behavior. We’ll explain the nature of the problem and give you a custom training plan and (when relevant) a safety plan to implement while we address the behavior. Step 3 – We’ll start you on the first steps of the training plan and coach you on implementing them. Step 4 – We’ll schedule appropriate follow-up training to resolve your dog’s behavior problems through classes, video chats, private training, board and train or whatever best suits your case. Nothing causes dog owners more confusion, frustration, fear, or heartbreak than dog aggression. Being faced with a choice between re-homing or even euthanizing a beloved pet and living with a dangerous dog is a terrible thing to face. 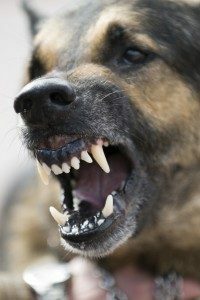 Fortunately, most aggression results from fear or confusion in otherwise wonderful dogs and can be corrected with the assistance of a qualified professional. Learn more about our programs for aggressive dogs. Separation anxiety is one of the trickier and least understood behavior problems in dogs. Its severity ranges from mild anxiety to a wild panic that leads dogs to injure themselves and engage in devastating destructive behaviors. We’ve solved countless separation anxiety problems through a proven systematic process that gets to the root of your dog’s anxiety. Learn more about our programs for separation anxiety. Whether your dog is afraid of strangers, other dogs, thunderstorms, or the car; we can design a training plan to help him overcome his fears and make all of your lives easier. Learn more about our programs for shy and fearful dogs.